Jody Calkins grew up in the Minnesotan woods and now lives in rural Central Virginia with her family. She has a degree in classical studies and literature, loves studying languages, and writes middle-grade literature and young adult speculative fiction. She is the author of the young adult speculative thrillers Shattered, Tainted, Bought, Charged, and Platform 273. 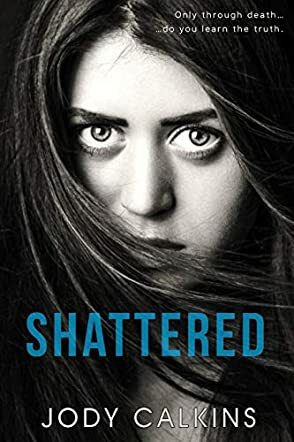 I found Shattered by Jody Calkins to be a very fascinating, but also disturbing read. What is done to the kids in that academy is just horrendous. You feel for all the characters and cheer Marris on; you just want her to find a way to stop the nightmare. I found the end of the novel to be bitter-sweet, but I guess that’s what you have to expect when the main characters are all dead people! It is a paranormal story, but also a coming of age story, a love story, a thriller, and a mystery at the same time. You definitely get quite a bit of excitement when you read this novel. I enjoyed that this book was a stand-alone book, and not a book in a series. It served the characters and the plot very well.